Greece has a rich history of gambling, which can be traced back to antiquity. Gambling was among the favorite pastimes of Greek soldiers who reportedly engaged in dice games as early as the Trojan War. In fact, the Ancient Greeks attributed a divine origin to gambling as becomes evident by a myth which relates the story of Hades, Zeus, and Poseidon playing dice in order to apportion the universe between themselves. Also, it was in Greece that mass games of chance were first introduced and organized. Because of all this, it may come as a surprise that the current gambling policies of the country where democracy was born are anything but progressive. Furthermore, Greece has suffered somewhat of an economic crisis in the past decade, so much so that the European Union had to bail it out not once, but twice for this period. This caused the Greek government to re-evaluate its stance in regard to online gambling. The first steps towards introducing adequate online gambling regulations have already been made, but unfortunately, the market in the country has remained in limbo for quite some time. When the popularity of interactive gambling increased dramatically at the turn of the 21st century, online casinos were met with such a strong opposition on behalf of the Greek government that the latter went as far as to enforce a ban on all forms of web-based gaming for real-money. Interestingly enough, this piece of legislation failed to adequately differentiate between online video games, and interactive and landbased gambling, which led to console games being prohibited from internet cafés throughout the country, along with online casino games. Following the financial crisis the country was struggling with, the Greek government decided to soften its stance on the gambling sector and passed the Gambling Act of 2011. The goal was to generate additional profits through the taxation and licensing of foreign gambling operators, with big names like William Hill and Betfair being among the first ones to enter the Greek market with interim licenses. This was followed by making provisions for setting up a permanent licensing system for offshore and native operators alike. Sadly, the intentions to establish one such system were stalled only a year later, in 2012, by the country’s Ministry of Finance. Instead of opening the market to foreign competition, the Greek authorities ended up monopolizing the interactive gambling sector, instead. The result was that OPAP (which is the Greek Organization of Football Prognostics) acquired a monopoly on all online gambling operations on the territory of the country. Meanwhile, the foreign operators which were granted temporary licenses were politely asked by the government to wind down their services on the local market. Some operators opted for leaving Greece right away since their temporary licenses were not to be renewed once they expire, others decided to try and wait out until the legal gambling environment in the country improves. These restrictive regulations led to various accusations of protectionism and violation of the free trade laws in the European Union. Things escalated rather quickly and only a year later, in 2013, the European Commission intervened and ruled that the restrictive policies of monopolization of the gambling market in Greece were indeed in violation of EU laws. 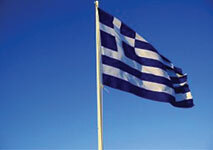 The result was the Greek government coming up with several proposals for amending its online gambling legislation. Nevertheless, the Greek legislators spoke strongly against games running on Random Number Generators. Their argument was that such games should not be made readily available to players from the country due to their quality of being “highly addictive”. This argument, was rather hypocritical on its own, considering the fact OPAP was issued a license, allowing it to operate over 30,000 landbased video lottery terminals in the country. All of this lead to the liberalization of the Greek gambling market coming to a standstill. In 2016, the Greek authorities announced they are planning to open the market to foreign competition in order to adapt Greece’s gambling regulations to the EU laws. However, the country’s government has not released an official list of interactive gambling operators that can potentially receive local licenses. At least not so far, which is to say the market continues to be rather under-regulated and restrictive. Meanwhile, there are over twenty interactive gambling websites that continue to operate under the interim licenses they were granted by the Greek authorities after the enforcement of the Gambling Act in 2011, with PokerStars being one of the most popular options for players from the country. Under the pressure on behalf of the European Commission, the Greek officials have decided in favor of granting permanent licenses to offshore gambling operators. The new permanent licenses are yet to be issued, however, with OPAP still exercising its monopoly in this sector. Many players from Greece actually opt in for registering at foreign web-based gambling operators that have not acquired a license from local authorities. Because the liberalization of the market is expected to take place soon, many foreign online casinos have already commenced accepting Greek players. Players do not face any repercussions for betting at unlicensed gambling websites. All forms of landbased gambling on the territory of Greece are considered legal and are regulated by the so-called Hellenic Gambling Commission. Players at licensed brick-and-mortar venues are allowed to legally engage in a wide range of games, including staples like blackjack, roulette, craps, baccarat, and slots. As far as poker goes, landbased casinos in Greece are permitted to offer a range of variants like 5-Card Stud, Texas Hold’em, 7-Card Stud, and Omaha. The Hellenic Gambling Commission is responsible for monitoring the landbased gambling market in the country, performing various audits, and ensuring fair gaming and transparent conduct in the interest of Greek players. Online gambling activities, on the other hand, are within the field of responsibility of OPAP, which holds a monopoly over the entire interactive gaming market in the country. In order to obtain a local license, foreign gambling operators need to be based in Greece. In other words, their servers should be located within the boundaries of the country and the websites should utilize the .gr domain, reserved for Greek players exclusively. As is usually the case, all licensed gambling operators offering their services to players located in Greece are expected to contribute with taxes. It is precisely these excessive taxes that have driven a number of foreign operators from the Greek market. According to the Greek legislation, all licensed casino operators are expected to pay a flat tax of 35% of their gross revenue. Since 34% of OPAP are owned by the state, the regulator is placed in a rather favorable position, compared to foreign-based operators. Furthermore, there are no taxes on the winnings of players who gamble at OPAP-licensed establishments. The only exception to this rule is when the profits exceed the amount of €100. Other than that, all winnings of players are subjected to a 10% tax. As many as 34% of OPAP are owned by the Greek state. Greek authorities have already made the first steps toward opening the country’s gambling market to foreign competition since over twenty offshore casino providers are currently operating under interim licenses. However, the excessive taxes imposed on foreign gambling operators appear to be the biggest stall in the path toward market liberalization. Excessive taxation is precisely what might drive foreign companies away from Greece. Furthermore, the beginning of 2016 saw the Greek government coming up with the decision to increase the existing tax on the operators’ gross revenue from 30% to a flat rate of 35%, which led to speculations that OPAP has pushed for increasing the tax rates in an attempt to deter foreign competition from applying for local licenses. Meanwhile, the process of renewing the temporary licenses of foreign operators with permanent ones is expected to be completed by the end of 2021. However, due to the hefty taxes many offshore gambling providers may choose not to reapply for local licenses.